I have used quite a few lawyers over the years but I can safely say David Dadic is one of the top legal minds I have worked with. 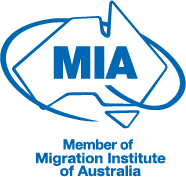 He has represented me in a complex legal matter related to our migration and assisted us with our Australian permanent residency application. David's work ethic, attention to detail and legal abilities are outstanding. He is a fantastic professional who is completely dedicated to helping his clients and achieving a positive result for them. David has been both my solicitor and migration agent for a number of years and I can say without any hesitation that his care and responsiveness is unmatched. He is always willing to go the extra mile for me and no issue is ever too much for him. He is a great man to have in your corner. David and the Pathway Team helped me with a very difficult migration related legal matter. I cannot speak highly enough of his perceptive manner in dealing with issues and attention to detail. After a long and drawn out legal matter, where he never relented in progressing the matter or grew negative about our circumstances, when often we did, he achieved a wonderful result and made our dream of going to Australia come true. Thank you so much David and Pathway we will always appreciate what you did for us. I just want to say thank you so much to David and everyone at Pathway, you have all done such a wonderful job for me and I will forever be grateful to you for helping me get my visa. Thank you!